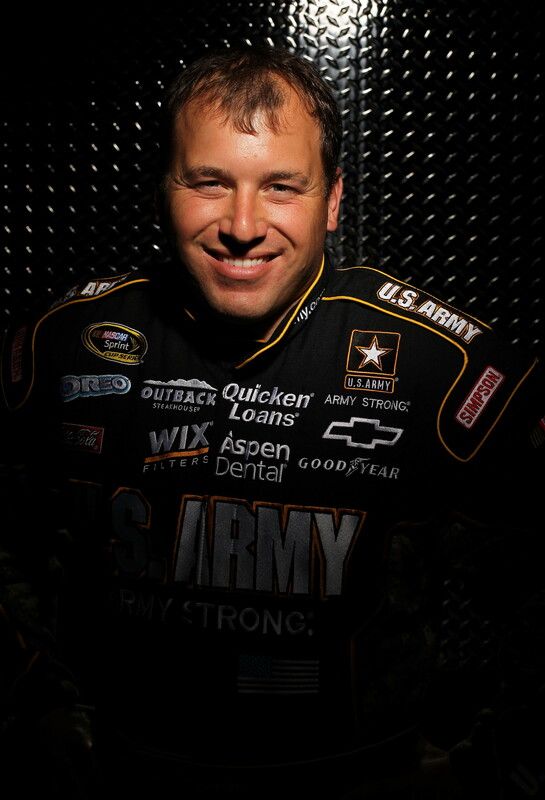 Stewart-Haas Racing driver Ryan Newman will make an appearance in the Monster Mile Club the morning of the Sept. 30, 2012 “AAA 400” NASCAR Sprint Cup Series race at Dover International Speedway, race No. 3 in the 10-race Chase for the NASCAR Sprint Cup. 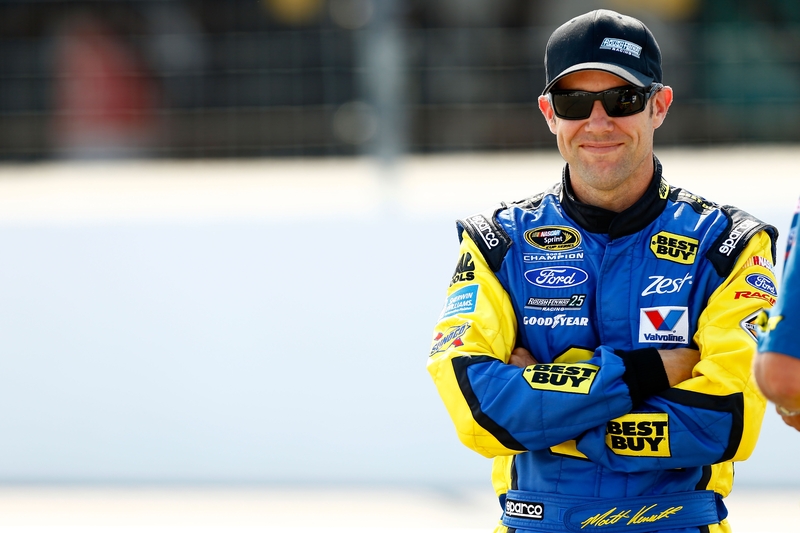 Fans in the Monster Mile Club will be treated to an interview with the driver of the No. 39 U.S. Army Chevrolet, as Newman will participate in a question-and-answer session during his visit. The Monster Mile Club ticket add-on is a hospitality option for fans the morning of the “AAA 400” NASCAR Sprint Cup Series race. On top of the Newman appearance, it also includes a Trackside Access pass to the front stretch of the track prior to the race, unlimited food and beverages (Pepsi and Anheuser Busch products), a race program and a souvenir gift. Ticket holders can add this hospitality option to their tickets for just $99. Newman has had a lot of success in his career at the Monster Mile, winning three NASCAR Sprint Cup Series races (two in 2003 and one in 2004), claiming four poles, and racking up six top-five and 11 top-10 finishes, all in 21 starts. The win in 2004 was in the first-ever Chase for the NASCAR Sprint Cup Series race at Dover International Speedway, making Newman the first driver to ever win the now-famous Monster trophy. In addition, Newman has one NASCAR Nationwide Series win at Dover in the fall 2005 race. The Monster Mile Club opens at 8 a.m. on Sunday, Sept. 30 with a continental breakfast. Trackside Access begins at 8:30 a.m. with the hosted question-and-answer session with Newman following later in the morning. An all-you-can-eat lunch will be served from 11 a.m. until the start of the “AAA 400” NASCAR Sprint Cup Series race at 2 p.m., at which point the Monster Mile Club will close. 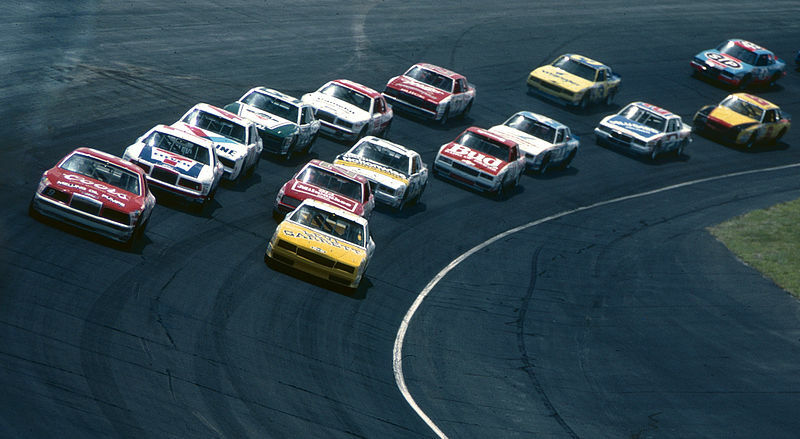 Categories: Delaware, Dover | Tags: Delaware, Dover, Dover International Speedway, Monster Mile, NASCAR | Permalink. Dover Downs Hotel & Casino is presenting this Tuscan-style café with the flavor and atmosphere of its Frankie’s Wine Bar and Italian Restaurant during race weekend. The café will offer race fans a variety of new menu options in an al fresco setting. Hours of operation are Thursday, May 31 from 11 a.m. to 11 p.m.; Friday, June 1 from 9 a.m. to 11 p.m.; Saturday, June 2 from 7 a.m. to 11 p.m.; and Sunday, June 3 from 6 a.m. to 8 p.m.
Visit DoverSpeedway.com to purchase tickets for the “Lucas Oil 200” NASCAR Camping World Truck Series race. Before they hit the track for the afternoon’s “Lucas Oil 200” race, the stars of the NASCAR Camping World Truck Series will meet with fans during a FREE autograph session from 12:30 to 1:30 p.m. in the FanZone, located outside of Turn 4 of the Monster Mile. Because the autograph session is first come, first served, fans are encouraged to arrive early. Close to 20 drivers have been confirmed so far, including Ty Dillon, Ron Hornaday, Justin Lofton and many more. The driver lineup is subject to change. Some of the top up-and-coming drivers, along with a few wily veterans, will trade paint on the Monster Mile for 200 laps of excitement in the “Lucas Oil 200” NASCAR Camping World Truck Series race. In its 12 races since it came to Dover in 2000, the NASCAR Camping World Truck Series has only seen a repeat winner at the Monster Mile once in Kyle Busch, so fans can be sure that this event will be tightly contested with a good chance of a fresh face showing up in Sunoco Victory Lane. Hosted in 2012 by Krista Voda with assistance from Kyle Petty, Rutledge Wood and Marianela Pereyra, “NASCAR Trackside” is SPEED’s at-track version of a variety talk show. You never know what’s coming next with “Trackside.” Whether it’s driver interviews, games, skits, spoofs, chats with drivers’ wives and children, or celebrities on-hand for the weekend, it’s always a party on “Trackside,” where showcasing driver personalities is priority one. The SPEED stage is set in the FanZone, located just outside Turn 4 of the track. Visit DoverSpeedway.com to purchase tickets for the “5-hour ENERGY 200” NASCAR Nationwide Series race. Fans will have the unique opportunity to walk the frontstretch of the Monster Mile the morning of the June 2 “5-hour ENERGY 200” NASCAR Nationwide Series race. The event is for ticket holders for that day’s race, and as a special bonus, Clint Bowyer, driver of the No. 15 5-hour ENERGY Toyota, and his team owner Michael Waltrip will participate in a special question-and-answer session for fans. Ticket holders for the “5-hour ENERGY 200” NASCAR Nationwide Series race can enter for the open track session at Gate 18 by presenting their ticket, which will be rescanned on the way out so it permits entrance to the race later that day. Located outside of Turn 4 near the Monster Monument at Victory Plaza, presented by AAA, this popular, family-friendly section provides free admission and loads of fun. Some attractions include racing simulators, face painting, prize drawings, moon bounces, show car displays, interactive games, rock climbing and a trampoline jumping station, just to name a few! When the NASCAR Nationwide Series takes to the track for the “5-hour ENERGY 200,” fans will be treated to seeing the stars of tomorrow try and prove their worth and earn the promotion up to the NASCAR Sprint Cup Series. With a lineup of exciting young drivers that includes Austin Dillon, Ricky Stenhouse Jr., Trevor Bayne and Danica Patrick, fans are guaranteed to see an exciting event and witness the development of the sport’s future stars. 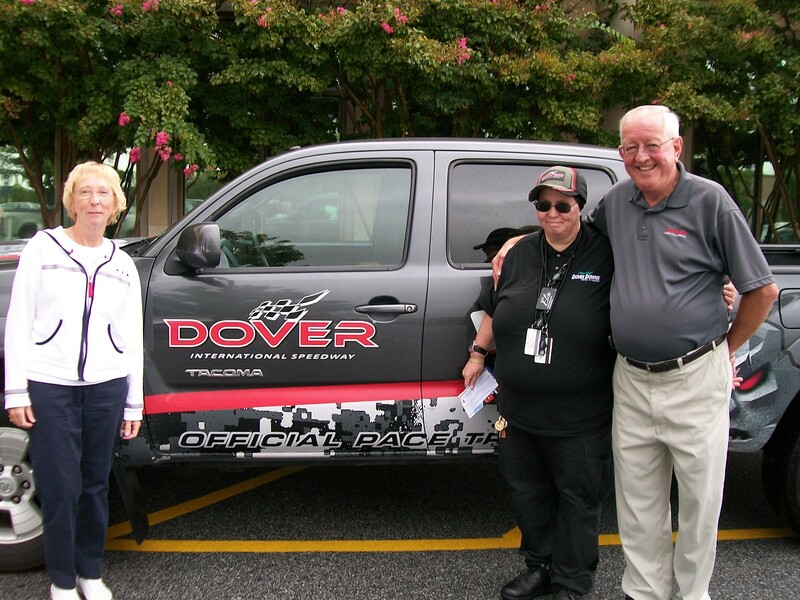 This event will give race fans the chance to walk or run around the concrete oval at Dover International Speedway, all while raising money for The NASCAR Foundation and Autism Speaks in the NASCAR Unites Track Walk & Sunoco Free Fuel 5K. Kicking off at 5 p.m. in the FanZone and taking to the track approximately an hour after the “5-hour ENERGY 200” NASCAR Nationwide Series race, the event will feature Denny Hamlin, who will meet with fans during the walk. Fans can register either online at NASCAR.COM/Unites, or at the track on race weekend by visiting The NASCAR Foundation display in the FanZone. Registration costs just $11 for the walk, as well as for the 5K run. All participants, including online registrants, must stop by the registration booth at The NASCAR Foundation display on race weekend to sign waivers and pick up their free event T-shirts. 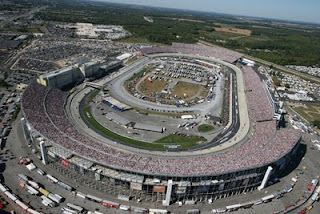 Visit DoverSpeedway.com to purchase tickets for the “FedEx 400 benefiting Autism Speaks” NASCAR Sprint Cup Series race. The energetic and highly-popular program airs live from every race track on the circuit. John Roberts hosts alongside Kyle Petty, Kenny Wallace and Larry McReynolds, while Wendy Venturini, Rutledge Wood and Matt Clark report the latest from the garage and pit road. “NASCAR RaceDay” leaves no stone unturned, revving up for the day’s race with live driver interviews, features and even some entertaining, off-the-wall segments, such as “RV There Yet?” with Wood and Petty — a driver and fan favorite. Race fans and drivers count on “NASCAR RaceDay” to get them ready for the big race, bringing them the inside story and up-to-the-minute news in a lighthearted and fun manner. Kurt Busch, driver of the No. 51 Chevrolet for Phoenix Racing, was the most recent driver to pull into Sunoco Victory Lane at the Monster Mile, winning the Oct. 2, 2011 “AAA 400” NASCAR Sprint Cup Series race. He’ll talk about that, his offseason team change and a few other topics with fans during a FREE question-and-answer session on the Monster Monument in Victory Plaza, presented by AAA, before that day’s race. The featured event of the weekend, the “FedEx 400 benefiting Autism Speaks” NASCAR Sprint Cup Series race is a pivotal midseason clash between the top drivers in the sport. Known to be one of, if not the, toughest tracks on drivers and equipment on the NASCAR Sprint Cup Series circuit, the spring race at the Monster Mile goes a long way in separating the true contenders for the Chase for the NASCAR Sprint Cup from the rest of the pack. Categories: Delaware, Dover | Tags: Dover International Speedway, Maryland, Monster Mile, NASCAR, NASCAR weekend | Permalink.